In the installer Select Components dialog choose: 5.11.0 (on Ubuntu choose Qt 5.11.3). 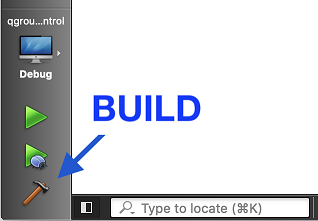 You can additionally create installation file(s) for QGroundControl as part of the normal build process. On Windows you will need to first install NSIS. To add support for installation file creation you need to add CONFIG+=installer to your project file, or when you call qmake. Open Projects > Build > Build Steps > qmake > Additional arguments.